With the new PilotStar NX, the German-based navigation company Raytheon Anschütz continues the path of simplifying autopilot handling in combination with superior steering performance. Leveraging decades of experience in advanced autopilot design, the new PilotStar NX combines the best steering accuracy known from the Anschütz autopilot systems with intuitive operation and a broad functional range. Its main characteristic is the large 7” touch TFT display, which, among others, offers graphical user support with heading and rudder plot as well as track data for simple adjustment of the autopilot parameters in order to achieve best steering performance in all conditions and efficient fuel consumption. Further, PilotStar NX features advanced functions such as a trim mode and a preset heading function for specialized operations of workboats. Tillers and handwheels can easily be connected to the PilotStar NX to create compact steering gear control systems. Olav Denker, product manager at Raytheon Anschütz, states: “PilotStar NX is the result of a careful design process, implementing the newest technologies and vast experiences from the field. During several month of sea trials aboard a search and rescue cruiser in the Baltic Sea we were able to validate the new autopilot, its reliability and performance.” PilotStar NX includes all the latest technical developments such as Ethernet communication and bridge alert management according to the latest standards. This makes it easy to integrate into various system environments and a safe investment for today and the future. “Raytheon Anschütz is comitted to offer long term support to our customers. We will support our PilotStar D autopilot, the predecessor of the new PilotStar NX, for another ten years in order to make sure that also existing installations remain a secure investment for our customers”, Denker concludes. 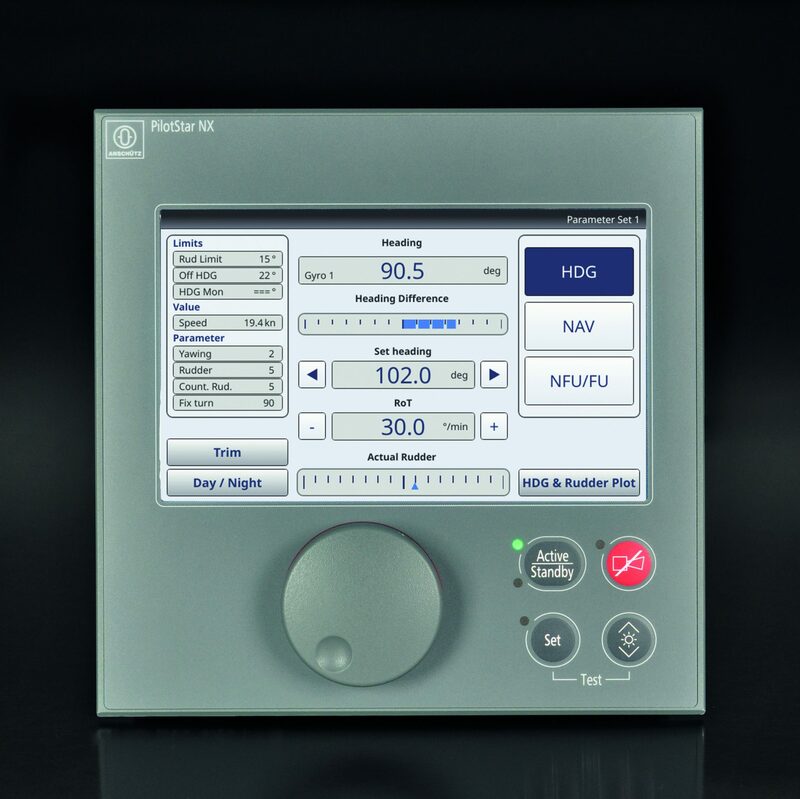 The new PilotStar NX will be available from November 2017 through Raytheon Anschütz’ global headquarters in Kiel, Germany, at Raytheon Anschütz’ international sites and at our certified resellers.